Fierce is about a fictional character Suzie Flack who is the first woman recruited to play in the men’s professional AFL. It combines contemporary relevant issues about women in sport with a passion for the game of AFL. Suzie Flack has made it to the big league. 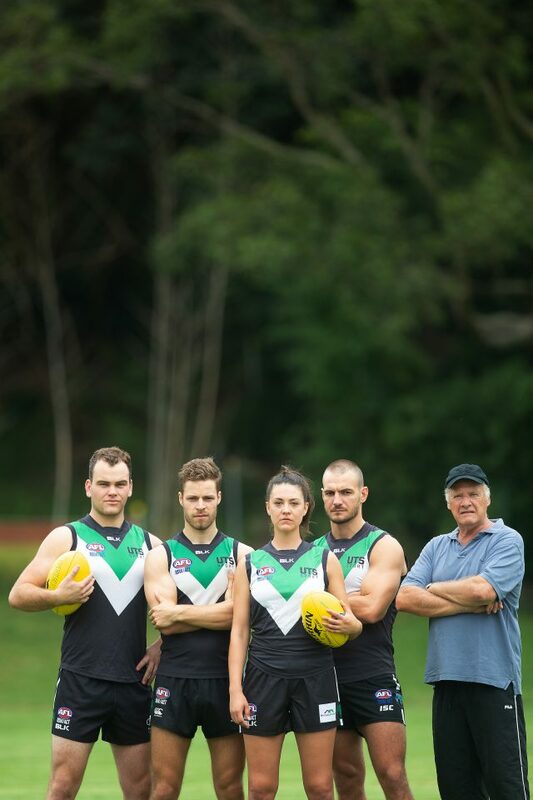 The first female Australian Rules footballer to play professionally with the men – which is why you haven’t heard of her; she doesn’t exist. Fierce by Jane E Thompson, is not a just play about football. It is a play about who gets to do what. Who gets to inhabit which spaces. Who is allowed to succeed at which pursuits. Fierce explores what happens when someone refuses to sit neatly in the box society has allotted her. Janine Watson (Unqualified, Romeo & Juliet) directs the Sydney Premiere of this ode to the drama that is AFL football, masculine culture, and the prevailing idea of what it means to be “Australian”. Fierce is an independent theatre production that will play at The Old Fitz Theatre in Sydney from March 20th – April 13th. Part time rehearsals commenced on Monday 21st January. We will STIMULATE OUR AUDIENCE. Fierce enters an audience engaged, whether they know it or not, in a debate about the value of women and their ability to commodify their passions as men do. The playwright sets up a ‘game’ for the audience which provocatively elevates the status of the woman on stage as something equal to men in a domain in which we know they are not. This stimulates a question in the audience – what if a woman were good enough to play with the men? The conceit has all kinds of implications – provoking the audience to question the ways in which women are suppressed in society. We will INCREASE AND DIVERSIFY AUDIENCES. Along with a focus on women in theatre and sport, Fierce represents both the LGBTQI and masculine AFL/sporting communities. Where in the media sport is presented as a homogenous, straight environment, Fierce represents latent queer diversity in real people struggling with their sexual identification set against a background of masculine ‘Australian’ sporting culture. This is an era in which storytellers must create female characters at the centre of their narratives to elevate the visibility of women and women’s issues in Australian society. Suzie Flack is a woman who fights to be herself, exceeds expectations and confronts adversity head-on, something we have witnessed male characters do since Aristotle. This is a part of a new wave of Australian theatre that, along with progressive movements such as #metoo and #timesup, will have a ripple effect in the advocacy of women’s rights. Fierce is an independent theatre production which means we receive very little funding. Any funds raised will go directly to all aspects of the production including set, costume, props, lighting, sound, all administrative fees including marketing and publicity and cast and creative fees. FIERCE is Janine Watson and Eloise Snape. Janine Watson: Janine was the a recipient of the Ensemble Theatre’s inaugural Sandra Bates Directing Award in 2016. 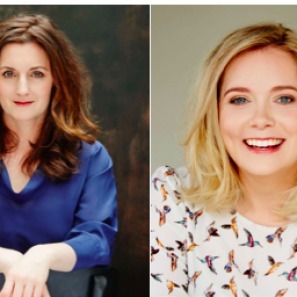 For the Ensemble in 2018, she directed Unqualified by Genevieve Hegney and Catherine Moore. For Bell Shakespeare, Janine most recently directed their mainstage education production of Romeo and Juliet, which was performed at the Sydney Opera House and the Victorian Arts Centre. In 2016 Janine was Assistant Director on Nina Rayne’s Tribes, Alan Ayckbourn’s Relatively Speaking, and she directed a staged reading of Michael Gow’s Away. Janine is a graduate from the National Theatre Drama School and has trained with the SITI Company in New York. Eloise Snape: Eloise received a Sydney Theatre Award Nomination for Best Supporting Actress in an Independent Production in 2013. She has an Advanced Diploma of Performing Arts (Acting) from Actors Centre Australia. Eloise has performed with a range of theatre companies including Bell Shakespeare, Sport for Jove and Redline Productions. She most recently played Aimee in the Australian premiere of the Tony award winning play, The Humans. She is a producer and founded MopHead Productions whose work has been toured nationally.